Further information about the spam-trapping, and about White and Black Lists is available here. Click a Hot Spot on the image below for further information. There is a continuing 'war' between those sending spam and those designing systems to filter it out. 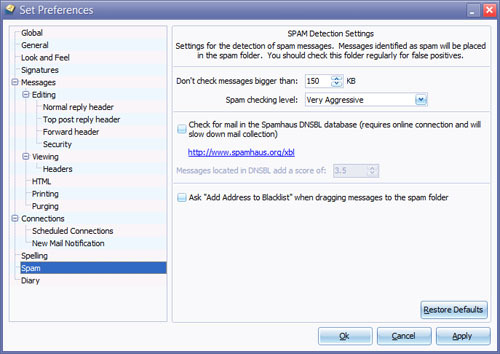 At one time blacklisting source addresses of spam messages provided some benefit. At the time of writing, the advantage of blacklists has become much less, as spammers typically use a wide range of addresses, often genuine addresses belonging to other, innocent, people, but also 'spoofed' addresses which are often not genuine.